Don't call it a comeback because LeBron James has done this before. The greatest player today just emasculated the Pacers by blocking their best player and hitting the game-winning three in their faces during game 5. The Cleveland Cavaliers have struggled all series long but are now in prime position to close out the series in their return to Indiana. The Pacers started the game, as usual, outscoring the Cavs 56-49 in the first-half but the Cavs rallied with a 32-17 third period setting up a tight fourth quarter. Before James hit the game-winner, the Pacers rallied but like in game 4, they couldn't close out. This is a trend that will cost them the series as it has in their previous playoff meetings. Indiana shot better than Cleveland and had more assists but only hit six threes compared to Cleveland's ten. They also missed more free throws and in a close game, it could've been the difference. As bad as Cleveland is playing, they manage to stick around and it's not just thanks to James but Kyle Korver stepped up to hit five threes and score 19. On paper, the Pacers should win game 6. They are 15-5 against Cleveland at home but their inability to will be an issue. They'll have to hope Cleveland goes on an ice-cold shooting spree and even if they do, James alone accounts for the whole team's shooting woes. It's crazy but he's the best player for a reason. Sometimes one all-time great trumps one good team. Now is one of those times. Thunder will not strike twice as the Utah Jazz should comfortably finish them off at the Vivint Smart Home Arena. The Thunder overcame a 25-point deficit last game to win 107-99 thanks to the superheroic efforts of Russell Westbrook and Paul George who combined for 78 points and accounted for up to 90 per cent of OKC's offence. Utah knows they let one slip away. They were in full control of the game until the dynamic duo just took over. 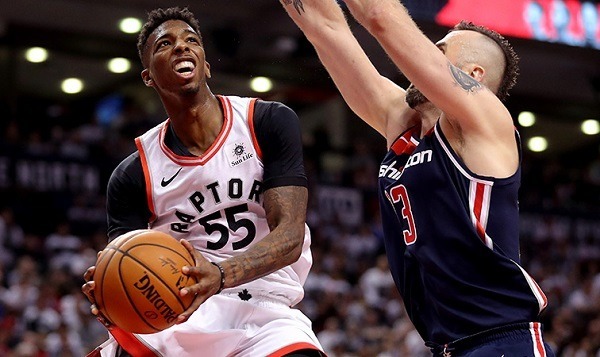 It was akin to game 1 where George erupted for eight three-pointers. But these types of efforts are unsustainable. As good as Westbrook and George are, it takes a team to win basketball games and the Jazz have played better for most of the series. It has been a battle of starters as both the Jazz and Thunder are getting minimal contributions from the bench. 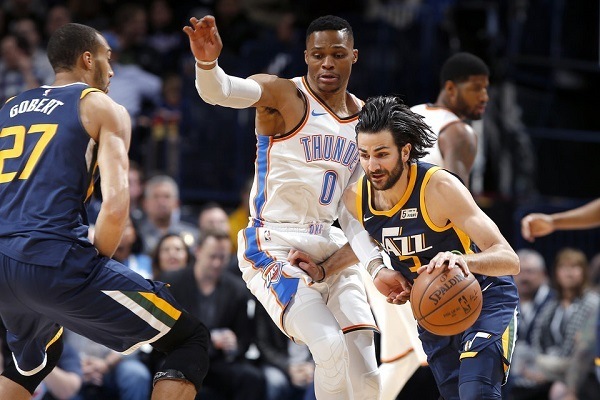 The onus is on Jazz guards Ricky Rubio and Donovan Mitchell to outplay or at least, contest Westbrook. Utah shot poorly in game 5 hitting just 40.7 per cent from the field. They also turned the ball over more and gave up 44 points in the paint. Chalk up game 5 as an incredible outburst from Westbrook and George and something that is unlikely to happen again. The Jazz should rebound from this loss. They have the better frontcourt, better offence, and better overall team play. Most importantly, they are unbeaten in their last five home games and are 4-2 ATS versus OKC. It will be chippy but the Jazz should win by a comfortable margin.